Isaac Simiyu is 8 years old and is in second grade. His Father is a farmer and his mother is a housewife. He has 6 brothers and 7 sisters and thus the family cannot afford all the expenses of educating this child. His favorite subject is math. He wants to be a Pastor when He grows up. 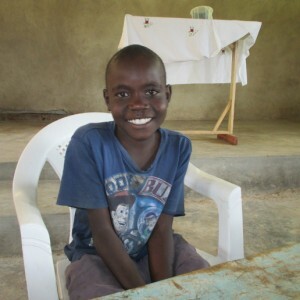 When you sponsor a child like Isaac Simiyu, you not only help this individual child but helping Isaac also helps his community. We are building a self-sufficient, eco-friendly Children’s Village. Part of your donation will go towards building schools and houses so that Isaac can have a brighter future. Here is how you can sponsor Isaac .